FORT MYERS, Fla. (May 25, 2010) — Steven Morton, Landscape Manager for Shell Point Retirement Community, recently became one of only 127 grounds management professionals in the nation to successfully complete the Certified Grounds Manager (CGM) program offered through The Professional Grounds Management Society (PGMS). Morton has been with Shell Point since 2005, and in addition to this recent certification, he is a Certified Horticultural Professional, Certified Landscape Inspector, Certified Arborist, and has a license in Pesticide Application for Lawns and Ornamental Plants issued by the State of Florida. Morton earned a B.S. degree in Agriculture with an emphasis on Horticulture from the University of Missouri, Columbia. The Professional Grounds Management Society (PGMS) awarded his team at Shell Point with “The Green Star Award” for excellence in landscaping. Founded in 1911, PGMS is a nationally known individual membership society of grounds professionals dedicated to advancing the grounds management profession through education and professional development. Further information on PGMS and its CCM program is available online at www.PGMS.org. To achieve the CGM professional designation, an individual must first have accomplished a certain level of education and on-the-job experience. Then they must successfully complete a two-part examination process administered by PGMS. FORT MYERS, Fla. (May 20, 2010) — The public is invited to attend a seminar series titled “Ancient Rome – The History of its Rise and Fall” presented by Professor Adrian Kerr, and sponsored by The Academy at Shell Point. The event will take place on Thursday’s, June 3, 10, 17 and 24, with each session being 10:15am to 11:45am in the Social Center located on the Island at Shell Point Retirement Community. The Roman Empire represents an unmatched period in scale and stability during the turbulent times in Europe and the Middle East. Its art, architecture, law, philosophy, writing, engineering, language, and religion are all very relevant to today’s world. Tickets for each seminar are $10, for a total cost of $40 for the entire series. If you would like to sign up for the seminars, or for more information, please call (239) 454-2054 as seating is limited. Professor Adrian Kerr is regularly invited to give talks on the Ancient Middle East internationally, and has participated in TV and Radio programs relating to various topics in which he is considered an expert. The purpose of this seminar series is to investigate the familiar highs and lows of the Roman time period. He will discuss the fall of the city in 455AD, and how their influences are carried well into our recent times and traditions. The series will consist of four seminars, with each one focusing on a different stage in the Rise and Fall of Ancient Rome. The Academy at Shell Point is a lifelong learning educational initiative for the residents of the retirement community. The Academy provides anywhere from 70 to 90 classes each trimester, that encompasses a well-rounded curriculum of educational opportunities for senior adults. The Academy at Shell Point was named as one of 2008’s most innovative active aging programs by the International Council on Active Aging (ICAA), an association that supports professionals who develop wellness/fitness facilities and services for age 50-plus adults. FORT MYERS, Fla. (May 17, 2010) — Shell Point Retirement Community welcomes organist Crawford Wiley on Thursday, June 3, at 7:15pm. The performance will be in The Village Church Auditorium at Shell Point Retirement Community announced Randy Woods, Minister of Worship and Music for The Village Church. Wiley is a native of Naples, Florida and studied organ with Claire Faasse from the age of 13. He has just finished his Junior year at Bob Jones University, where he is studying for a B.M. in Organ Performance with Dr. Ed Dunbar. This recital will feature Bach’s Toccata in F, Durufle’s Variations on VENI CREATOR; Britten’s Prelude & Fugue on a Theme of Vittoria and various favorite hymn arrangements. This event is free and open to the public. For more information on the concert, please call (239) 454-2147. SHELL POINT TO HOST A WELLNESS SEMINAR Presentation to focus on Healthy Bones….Healthy You! FORT MYERS, Fla. (May 10, 2010) — Shell Point Retirement Community will host a wellness seminar focused on the Osteoporosis on Friday, June 4, at 2pm. The general public is invited to come learn more about this topic, and what can be done to improve your health. Lynne Fraser, Shell Point personal trainer, will be the presenter, and the event will take place in the Grand Cypress Room of The Woodlands neighborhood at Shell Point Retirement Community. FORT MYERS, Fla. (May 7, 2010) — The Academy at Shell Point invites the public to attend a program presented by Robert N. Macomber, a well-known local author. Macomber will offer insight into his research for his latest book, The Darkest Shade of Honor, on Monday, May 24, from 10am to 11:30am. The presentation will be held in the Grand Cypress Room of The Woodlands neighborhood at Shell Point Retirement Community. Macomber’s recent book, The Darkest Shade of Honor, is set in 1886, with scenes from New York, Havana, Key West, Tampa, Sarasota, and many barrier islands in Florida. The plot revolves around a story of Cuban revolutionaries who are operating in Florida, while Spanish agents try to stop them and the U.S. Government attempts to discover them. Books will be available with a book signing at the end of the presentation. The event is free; however seating is limited and a reservation is required. Please contact 239-454-2054 to RSVP or for further information. FORT MYERS, Fla. (May 6, 2010) — Military veterans and their spouses, men and women aged 55 and over, are invited to attend a free luncheon and tour at Shell Point Retirement Community on Friday, May 21. Members of the Shell Point Veterans Club will serve as hosts and hostesses at the event, which will include patriotic entertainment, a brief presentation about Shell Point, and a guided tour of the community. Guests will learn about the numerous retirement options available at Shell Point during the luncheon presentation given by one of the community’s experienced retirement counselors who will explain the concept of lifecare and the numerous benefits received when becoming a resident at Shell Point. Included in the visit will be a tour of the popular Shell Point Train Room, as well as other attractive amenities, plus decorated model units. Admission to this event is free; however, seating is limited, so reservations are required and may be made by calling Maureen at 239-466-1131 or 1-800-780-1131. 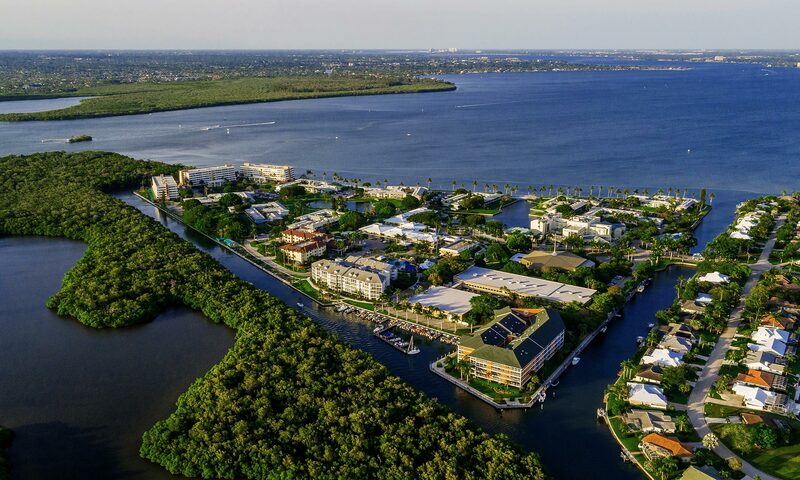 Shell Point Retirement Community is a not-for-profit continuing care retirement community located in Fort Myers just off Summerlin Road, two miles before the Sanibel causeway. Shell Point has received national accreditation from CARF-CCAC, and is a nationally recognized leader in the retirement industry. The community offers retirement living in a resort-style environment with an 18-hole championship golf course, deep water boating access, and recreational and fitness facilities. To learn more about Shell Point, go to www.shellpoint.org or call 1-800-780-1131. FORT MYERS, Fla. (May 6, 2010) — Shell Point Retirement Community will host an Assisted Living Informational Event on Tuesday, May 25, at 5pm at the Kings Crown Assisted Living located on The Island at Shell Point. Please join us for a relaxing cook out as you enjoy a presentation about Shell Point’s Assisted Living options presented by Rita Southern, Director of Assisted Living. The presentation will be followed by a tour of the award-winning facility including the opportunity to view furnished residences. Shell Point has two assisted living facilities on site, the King’s Crown Assisted Living and the Arbor Assisted Living. The King’s Crown was recently renovated and features 120 residential units; an expansive beautifully appointed dining room; library; computer station; and a variety of activity and gathering spaces. The Arbor Assisted Living is an elegant facility with a total of 132 units, and a variety of studio, one-bedroom and two-bedroom floor plans. Amenities on site for residents include a full-time activities staff, fitness center, salon, game rooms, chapel, library, and a number of social areas throughout the building. Space is limited for this free event. To reserve your spot, or for more information about the Assisted Living Sunset Cook Out Event to be held on Tuesday, May 25, at 5pm at the Kings Crown, please call McKenzie Boren (239) 454-2077.